Whether you need a root canal before you get the crown or the dentist has to build a foundation, the dentist will spend some time working on the affected area to prepare it for the crown. The tooth must be filed to ensure that there is plenty of room in the mouth for the new addition. If there is significant decay or damage, the dentist will remove it before putting the crown into place. The dentist will use a special material to create a mold of your tooth. He or she sends this mold to the lab so they can create a personalized permanent crown for your mouth. While you wait for the permanent piece, the dentist will fit you with a temporary crown that keeps the area protected until you can get your permanent crown. You will need to return for another visit to get your permanent crown put into place and molded to fit your bite. As long as the crown is properly put into place, you should not notice it in your mouth. A dental crown cannot get tooth decay, but the gum surrounding it is still susceptible to infection and periodontal disease. It is important to maintain a thorough oral hygiene routine to ensure that the surrounding teeth and gums remain healthy. Dr. John Carson is one of Tucson’s top dentists and is here to get you set up with dental crowns and other preventative and cosmetic procedures that optimize your smile. With his help, you can enjoy healthy, beautiful teeth and gums. To learn more, visit us online or call (520) 514-7203. If you are experiencing a lot of pain from your TMJ disorder, you should try to eat softer foods to give your jaw the chance to relax. Avoid chewing hard foods and ice so that you do not put any additional stress on the jaw muscles until you can visit your dentist. The first course of treatment for TMJ disorders is typically splint therapy. Once the dentist determines that this is the cause of your trouble, the dentist will fit you with an appliance that you place in your mouth to keep the jaw at rest in the correct position. The splint is especially helpful for people who grind their teeth. Patients often do not realize the extent of their bite problems until they are fit with this mouth appliance. Sometimes this is all it takes to correct TMJ disorders. If you are experiencing a lot of pain or discomfort in your jaw muscles, your dentist might suggest some pain medications. Over-the-counter pain medicines or anti-inflammatory options like ibuprofen can also help relieve some of the pain. If you are experiencing discomfort in your jaw or have excessive headaches, you might have a TMJ disorder. Schedule an appointment with Dr. John Carson to start splint therapy that can alleviate your symptoms. 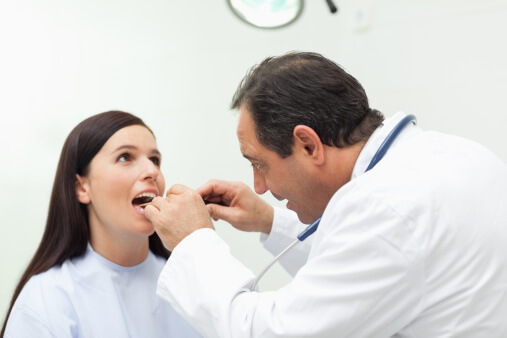 As one of Tucson’s top dentists, Dr. Carson is here to help you find solutions for your specific oral issues. To learn more about our services or to schedule an appointment, visit us online or call (520) 514-7203. Before you come in for your root canal, you should ask your dentist where the procedure will be performed and how long he or she expects it to take. You should also discuss the medications that you currently take so the dentist can determine if there are any medicines that might interfere with your healing. You might want to call your insurance company to ensure that they will cover the procedure. There are certain medications that the dentist might suggest to help you get ready for your root canal. Ibuprofen or other over-the-counter medications are often recommended a few hours before the root canal. The dentist might also give you prescriptions for some pain medication that helps alleviate any discomfort after the procedure. The root canal procedure is simple and causes minimal pain, but some people experience dental phobias that keep them from getting the oral care that they need. 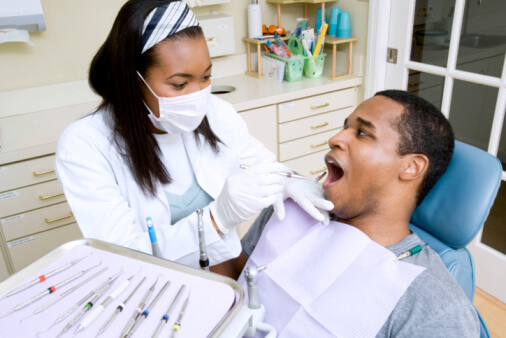 If you are feeling scared about getting the root canal, you should talk to your dentist about your concerns. If the dentist determines that you have a phobia, he or she might prescribe a sedative that helps you relax enough to get the treatment that you need. 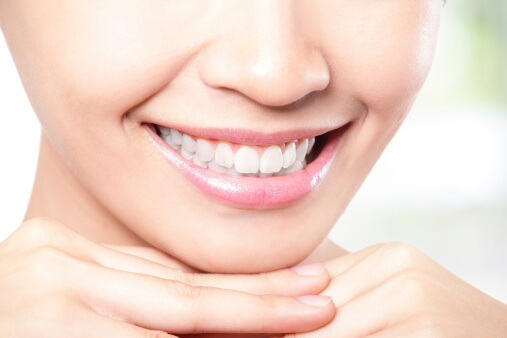 Whether you need a root canal or teeth whitening treatment, John R. Carson, DDS. is here for you. As one of the top dentists in Tucson, Dr. Carson helps all of his patients get access to the kind of care they need to maintain a healthy and beautiful smile. To learn more about the practice or to schedule an appointment, visit us online or call (520) 514-7203. 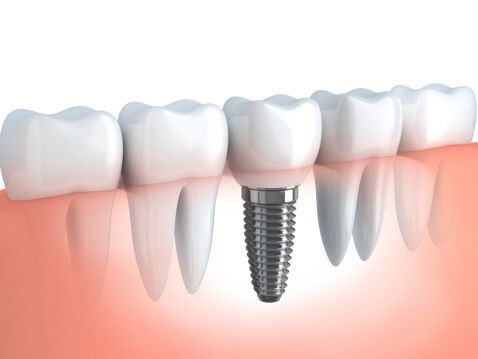 Dental implants provide an effective and long-lasting way to replace missing teeth and improve a person’s bite and tooth function. The people who make the best candidates for dental implants are in good overall health and have no major oral issues. They should not have significant decay or periodontal disease and they must have enough bone to support the implant. If you are interested in using dental implants, it’s time to get acquainted with the most common type, Endosteal implants. Endosteal, or in the bone, implants are the most popular style. These implants are made from surgical grade biocompatible titanium and are placed directly into the jawbone. The dental crown is placed on top of the endosteal implant. Every implant has the ability to serve as the foundation for at least one replacement tooth. With the proper care and regular visits to the dentist, endosteal implants can become a permanent solution for a patient who is missing one or more teeth. If you are interested in finding out if you make a good candidate for dental implants, schedule an appointment with John R. Carson, DDS. Dr. Carson offers some of the best oral health services in Tucson so you have easy access to the procedures you need to maintain a healthy smile. To learn more about our treatment options or to schedule your next appointment, visit us online or call (520) 514-7203. The hard outer layer of an apple cleans off the surface of your teeth to help remove some of the stains that might exist on them. Apples are also a good source of malic acid, which helps you produce more saliva. Saliva is your body’s way of cleaning out the mouth to prevent food, bacteria, and plaque from building up and leading to oral health issues like cavities or periodontal disease. 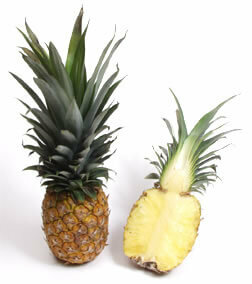 Pineapple is a good source of bromelain, which is an ingredient that encourages cleaner teeth. In fact, it is the only kind of food that naturally includes this compound that is often used in stain-removing toothpaste. Bromelain helps clean the teeth and gums to keep your mouth healthier and cleaner. Broccoli is a great source of natural fiber. Diets that are high in fiber help you reduce the amount of inflammation throughout your body, which can reduce your risk for periodontal disease and other oral infections. If you eat raw broccoli, the process of chewing can also clean off the surface of your teeth. Dairy products like cheese contain a lot of calcium, phosphorus, and protein. These ingredients can make tooth enamel stronger. Harder cheeses also encourage saliva production, which keeps your mouth cleaner and helps you avoid plaque buildup. If your teeth are still discolored even with the help of these foods, schedule a teeth-whitening treatment with Dr. John Carson. Whether you need preventative, restorative, or cosmetic treatment, Dr. Carson provides some of the best services in the Tucson area. To learn more about our dental services, visit us online or call (520) 514-7203. As the body ages, it becomes more susceptible to certain infections. Diseases like diabetes and side effects from certain medications can increase this risk even more. 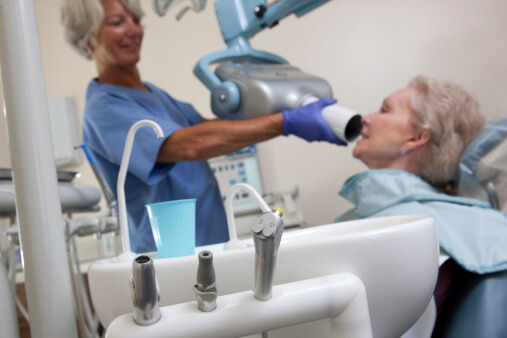 Without the proper oral care, older adults face a higher risk of periodontal disease. It is especially important to brush and floss the teeth in later years and to schedule regular cleanings and checkups with the dentist. Severe decay, periodontal disease, and bone loss could all lead to tooth loss. When someone is missing one of more teeth, it negatively affects the entire bite and might make it more difficult to chew or to talk. It could also increase the risk for further periodontal disease. If you are missing one of more teeth, you might want to talk to your oral health professional about dental implants and how they can help improve your bite. As enamel is stripped away from the teeth with age, they become more susceptible to sensitivity to extreme temperatures. Decay, fractures, bad fillings, periodontal disease, and an exposed tooth root could also increase a person’s risk for tooth sensitivity. If you feel discomfort when you try to consume hot or cold beverages, you might want to schedule an appointment with your dentist to find a solution. Dr. John Carson can help you maintain your oral health throughout every stage of your life. As one of the top dentists in Tucson, Dr. Carson makes an effort to give every patient the personalized care they need to avoid major dental concerns. For more information on our services or to schedule your next cleaning, visit us online or call (520) 514-7203.